Nintendo of America has just announced earlier today that a new edition of Nintendo Direct will be streamed across the globe at 2pm PT/5pm ET on February 13th! Everyone’s favorite Nintendo presentation will be focusing on both Wii U and 3DS games and should prove to be an exciting entertainment show for gamers hoping to learn more about previously announced and entirely new games alike. Even a couple of upcoming Zelda titles for Wii U may be shown during this presentation! Click the jump to read more details about this new Nintendo Direct as well as thoughts on which Zelda titles may be revealed! This Nintendo Direct brings some extra hype considering we haven’t had a Nintendo presentation for at least a couple of months now. As always, before a Nintendo Direct airs, we usually have high expectations for what games we want highlighted during the presentation. We should discover more details concerning Super Smash Bros. for Nintendo 3DS and Wii U, Mario Kart 8, and Yoshi’s New Island. But what about new Zelda titles? Well, we should be able to take an even better look at the new Zelda/Dynasty Warriors crossover title, Hyrule Warriors. Any new information regarding objectives or missions for the game, even a storyline, would create some incredible hype for the game. We know that a brand new Legend of Zelda title for Wii U is currently in development yet whether Nintendo will show it off before E3 2014 is anyone’s guess. Shigeru Miyamoto has previously stated that Nintendo almost decided to have it ready for reveal at E3 2013 but chose not to in the end. The Wind Waker HD was first revealed in a Nintendo Direct around this time last year so there is a chance that Nintendo finally believes the public are ready to see this incredible new Zelda adventure. At least a sneak peek trailer or concept art would be satisfying until E3 2014 rolls around the last bend. Last but not least is the always hopeful attempt to believe a Majora’s Mask remake is on the cards for tomorrow’s Nintendo Direct presentation. I hate to burst anyone’s bubble but I really don’t think we’re seeing any Majora’s Mask reveal tomorrow. Feel free to tell me otherwise but I think all the speculation has run its course. However, I would be very glad if Nintendo has chosen to create a remake for one of the N64’s greatest titles. 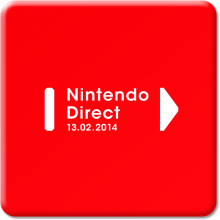 So, what are you expecting to see from this upcoming Nintendo Direct? Do you think Zelda Wii U or a Majora’s Mask remake will be announced? Let us know your opinions and thoughts below!